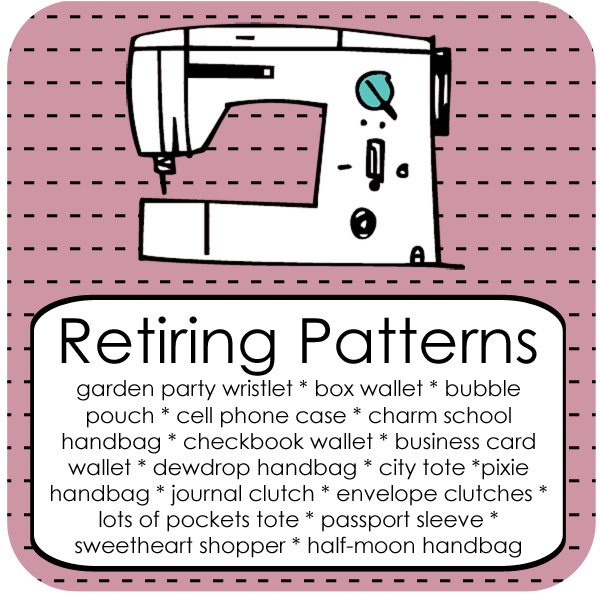 Keyka Lou is retiring several of her patterns. This is your last chance to get them and they’re only $3 each! Click the link over on your right to go directly to her shop! I can’t rave enough about Keyka Lou’s patterns! They’re really easy to follow even for the newest sewer and the end result is beautiful! I’ve made several of her patterns and own nearly every one of them. Go on, you know you want to! I didn’t realize it had been so long since I last posted. Mostly I haven’t got anything interesting to say so I haven’t been saying anything! I’ve been dealing with a shoulder injury for 3+ weeks and it’s getting really annoying! The other day I joined the W Club. Registration closes January 18th so there’s still time to join. I just got the basic registration because I wasn’t really blown away by either doll. I’m interested to see what being a member is like and hoping this may mean I get my hands on something I really want. Seems like there’s so much to do and instead of doing any of it, I do nothing. I should probably do something about that! I was shopping in Old Navy yesterday, trying to find a pair of jeans. Normally I don’t wear jeans from Old Navy but circumstances called for some pants – STAT. So I’m standing there at their jeans wall trying to find my size in “short” because at 5’1″, I am short. I couldn’t find the size I was looking for at all and then I looked up. Sure enough, sitting on top of a shelf that was up higher than 5′ sat the size I was looking for marked “short”. I stood on my very tip toes and stretching my arm up to the point where I actually felt the muscle pulling I was able to yank down a pair of jeans. I was annoyed, briefly. I ended up buying jeans (in a different size, go figure) but after complaining to my mother about the short jeans on the high shelf I realized that it’s the kind of thing that a taller person wouldn’t even think about and unless a short customer (me) said something, they’d never think to put the “short” jeans on a low shelf for their “short” customers. So I wrote them an email and politely explained what happened and suggested they put the short jeans lower where their short customers can reach them. And that got me thinking. A lot of the time we experience things as a customer and we get annoyed but we don’t say anything. Well, if the store doesn’t know, they can’t change it (if they’re so inclined). Now, I’m the type of person that actually DOES provide customer feedback, regularly. If something has happened in a store that has displeased me in some way, I come home and I look up the store and find out how to contact them and then I write to them and tell them what happened. I even received a gift card from a store in appreciation for my feedback. But that’s not why I sent it, I sent it because I wanted them to know what had happened. Often, whatever has upset you is not something the higher ups are aware of and generally it’s something they are happy to correct but the key is letting them know. By that same token, when I receive really good customer service, I will come home, look up the store and then write to them and let them know, including the employee’s name if I know it along with the store location, the date and the time. Be polite. Seriously. Even if you’re really angry. In fact, if you’re really angry, wait. Cool off and then contact them. Don’t swear. There’s no need for it. By that same token, don’t use insults. Even if you’re emailing in your complaint you need to remember that a real live human being is on the other side. You wouldn’t like it if someone came to your work and told you how much you sucked and how stupid you are, right? So why do it to someone else. As much as people in customer service try not to take it personally, it’s upsetting and it’s unnecessary. It won’t get you more help if you’re mean. In some cases it might get you ignored completely if the company feels (rightly so) that abusive complaints don’t warrant an answer. Explain the situation in detail. Don’t assume the person on the other end is going to know exactly what you mean when you say things like “it” or “the account”. Whenever appropriate, state the store location, date and time of an incident. If it’s an online transaction, state the date. Again, explain the situation in detail. The more details you give, the more specific you are, the quicker your problem can be addressed. If you write in and say something like “My account stopped working” or “The clerk was rude” then you can expect that there will be a lot of back and forth before your issue can actually be addressed. Remember that the person on the other end has no idea who you are or what happened. They may cover multiple areas or service multiple accounts so you need to be specific. Did I mention be specific? Often, companies only hear from customers when they have a complaint. Don’t be afraid to give feedback because something good happened. Even if it was at McDonalds, it’s nice to hear the positive. This positive often gets relayed back to the employee and that feels good too. I know that sometimes a customer does all that, provides details, is polite, etc. and in return they receive a nasty reply. I’ve been on that receiving end too. My advice, if you’re providing customer service/support is to always be polite, even if the person is being rude, there’s no need to devolve along with them. Read the full email, if the complaint is emailed in. Responding improperly or only addressing half of the complaint is only going to further anger the customer. If they’re on the phone or in person, listen. Hear them out. Most people just want to be acknowledged as having been heard even if you can’t fix their problem. If you make a mistake own up to it. It’s ok. You’re human. Explain to the customer that you were mistaken or you made an error, apologize and move on. Most of the time, the person on the other end will appreciate that you’re being honest, they’ll certainly appreciate the apology and you may even diffuse a tense situation and turn a negative experience into a positive for that customer. Abash’d the devil stood, And felt how awful goodness is, and saw Virtue in her shape how lovely.